Time For A Road Trip To Kerala's Only Drive-In Beach, And Asia's Longest One! Muzhappilangad Beach near Kannur is Kerala's (and probably India's) only drive-in beach. It's under eight hours and you can go parasailing there too. 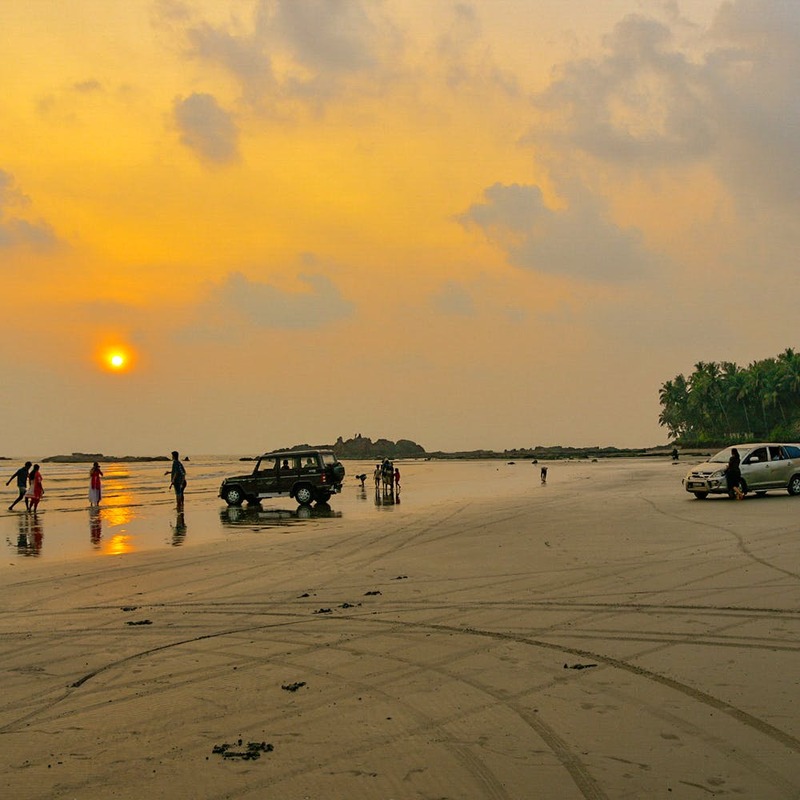 If you are looking for a drive-in beach in India, you're probably only going to find one, and that's the famous Muzhappilangad Beach, one of Kerala's best beaches. It was once voted to be the one of the world's best drive-in beaches too by BBC Auto. Touted to be Asia's longest drive-in beach as well, Muzhappilangad Beach is just under five kilometres long, but it still makes for a pretty amazing drive by. The black rocks that line up on this crescent beach and keep the waves calm, so peacefully enjoy the sun setting over the Malabar Coast. The beach gets crowded on weekends with locals, families, and tourists all in either their cars, or motorcycles riding along the beachside. If you riding down to Kannur on your motorcycle, then boy, nothing like racing along the waves and splashing water. Once you are done with your lap along the beach, park your vehicle, and head for some adventure activities. There are folks who conduct parasailing and paragliding activities. You can also check out Dharmadam Island when the tides are low. It's a secluded spot with coconut groves and perfect for a picnic. Rash drivers and youngsters on motorbikes doing stunts are a common sight here, so be sure to drive safe. Also, watch out for pedestrians who throng the beach. You can head to one of the many beach shacks for some solid Kerala meals. The fish curry meal for lunch comes highly recommended. Want To Drive Your Car On A Beach? You Can Do It Here!